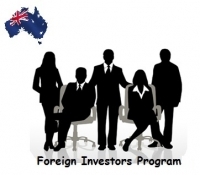 From 1 July 2015, Australian Govt has made few regulations which it would like to implement such as a new premium Investor Visa (PIV) program and secondly it has proposed changes to the significant investor visa (SIV) program. Number of changes has been introduced to the permitted investments, for SIV, minimum investments to be made in Australia is AUD$5 million. The PIV is a new streams which would be available from 1 July 2015. The PIV requires AUD$5 million investment in Australia. The PIV enables the successful applicants to obtain permanent residency after an accelerated period of 12 months. The PIV aims to attract business skills as well as entrepreneurial talent to Australia which are aligned to National or State and Territory investment priorities. Permitted investments might be though Australian managed investments funds, LIC’s or direct investment in one or more of the following. Austrade is now one of the referring agencies which are able to make recommendations for the SIV ( in additions to the States and Territories). There has been a number of changes to permitted SIV investments. Derivatives –These should be used only for risk management purposes. The investment must be maintained in securities issued by 20 or more different issuers. Up to 30% of the fund’s net assets can be held in investee companies which have grown their market capitalization.$500 million. Investment in an individual security should not exceed 10% of the fund’s net assets. The investment must not be made in securities issued or proposed to be issued by the Govt or in debentures. Securities of a company, infrastructure trust, real estate investment trust, provided they are quoted on an Australian Securities exchange. Annuities issued by the Australian registered life companies, but he repayment of capital cannot commence during the visa period. Corporate bonds or notes issued by the Australian exchange listed entity. Investment grade rated Australian corporate or registered foreign company bonds or notes rated by the AFS licensed rating agency. Cash held by Australian ADis, including the certificates of deposit, bank bills and other cash like instruments, should not exceed 20% of the fund’s net assets. Must hold an AFSL or should be exempt from the need to hold one. Be unrelated to investor, their spouse or defector partner.